False eyelashes are a popular beauty choice among women. Attaching false eyelashes to the eyes gives the appearance of longer and thicker eyelashes to the wearer. However, false eyelashes are not entirely safe and pose some risks. Let’s take a look at these risks in more details below. 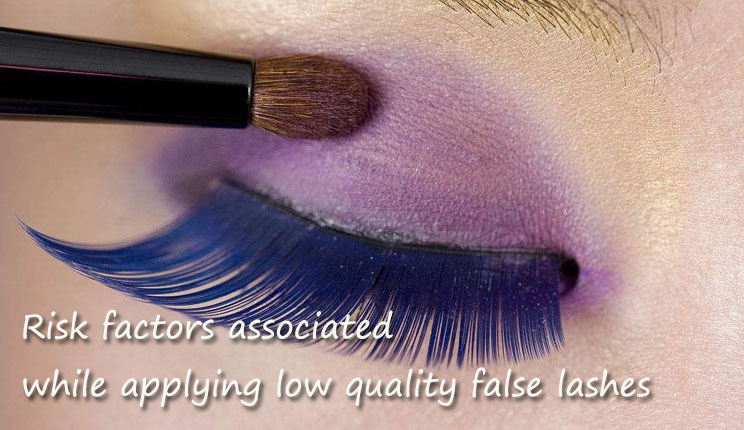 What are the risks when you using the low quality false lashes? The adhesive used to attach eyelash extensions to your eyes is strong and full of chemicals which can be extremely harmful to your eyes. Using the glue too often can weaken the roots of our real eyelashes and make them fall off. You may also end up accidentally taking off some of your real eyelashes while removing the glue. Some people also develop severe allergic reactions on their skin and eyes due to the composition of the chemicals in the glue. In severe cases, it may also lead to a loss of vision. Therefore it’s very important that you undergo a patch test before applying it to the sensitive area of the eye. Ironically, you may actually end up losing eyelashes in your attempt to get longer, fuller eyelashes. The frequent tugging and pulling at your eyelashes can damage the hair follicles. It’s made worse when the wearer goes to sleep wearing the false eyelashes. This causes permanent damage to your hair follicles and your natural eyelashes may never grow back. Your natural eyelashes protect your eyes by preventing dust, debris, and other foreign substances to enter your eyes. In contrast, the false eyelashes trap dirt and bacteria in them, which in turn, leads to irritation in the eyes and serious infection. Many ophthalmologists and researchers opine that eyelash extensions can increase the likelihood of dry eyes. Natural eyelashes possess an optimal length in order to protect the eyes from dust and debris. 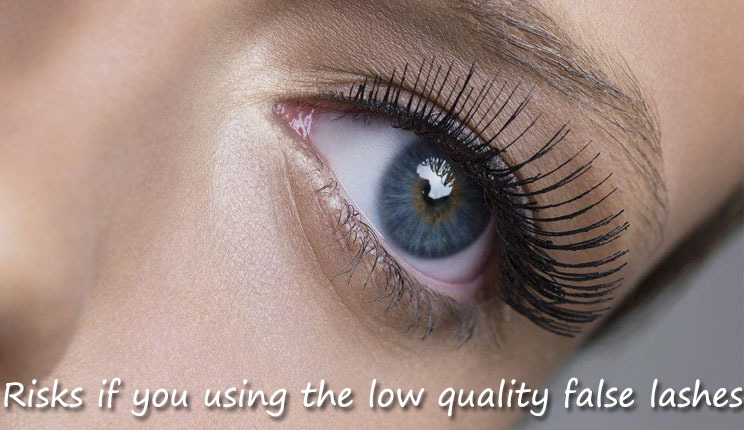 Various studies have revealed the optimal eyelash length to be one-third the width of the eye. But longer eyelashes extensions generate a fan-like effect with each blink which increases the air flow on the surface of the eye. This leads to dry eye. Buy high quality mink lashes-www.acelashes.com! However, it is possible to apply for eyelash extensions and avert some of these risks. All you need to do is take the following precautions. To reduce the risk of allergic reaction, ask what type of glue is being used and check the ingredients list of the adhesive before applying it to your eyes. Make sure it’s a reputable establishment and the aesthetician is a certified professional. Ensure that the aesthetician follows proper hygiene practices before touching your eyes. Avoid tugging at your eyelash extensions to prevent breakage. Despite the risks associated with false eyelashes, they continue to remain a popular beauty choice among women. Following these safety tips can go a long way in protecting your eyelashes and your eyes from severe damage.